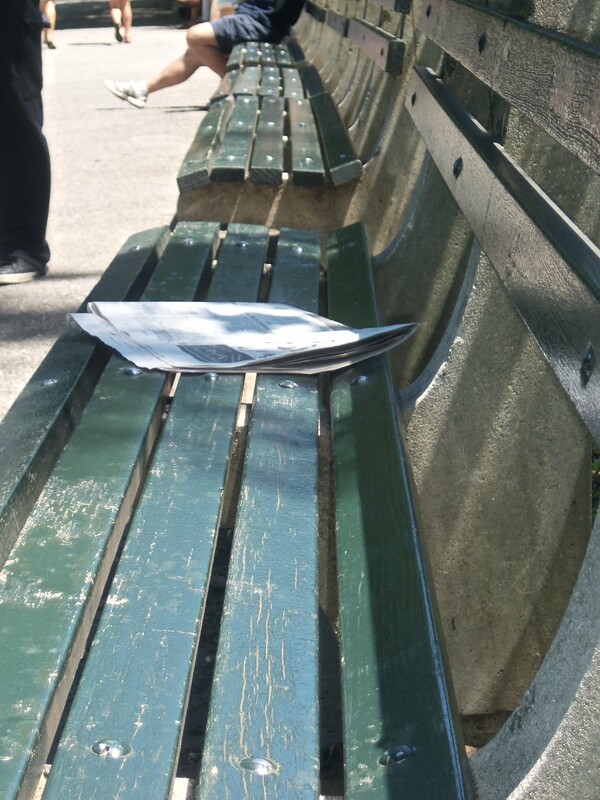 Newspapers and Benches connect us. They are simple, but they both provide opportunity for us to connect with those around us. Whether it is someone sitting right next to us on a city bench, or an article which connects us to the people and events that are occurring on the other side of the globe, they help us enter in to someone else’s world. We all want to be connected in one way or another, that’s for sure. This bench is just outside of Central Park in NYC, but scenes like this could be anywhere. Love that no matter where you are, some things are the same. People want a place to rest for a moment, and people often want to connect with others. We are so different, but so the same.